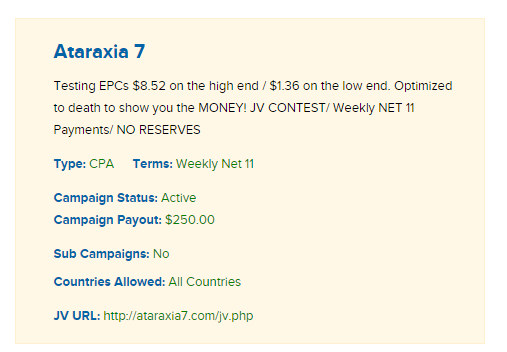 Ataraxia 7 is definitely one of the more clever and well put-together programs offering riches on the stock market out there. When I started doing research for this Ataraxia 7 review, it became pretty clear to me that a lot of people were going to be interested. If you’re one of them, I admire your restraint at not just signing up straight away. Did you think it was too good to be true? Is this why you’re now searching for reviews? You’ve come to the right place then. I’ve reviewed a lot of programs like this, but the one difference with this one and the others was that it almost had me ready to sign up as well. In the rest of this article, I’ll tell you exactly why I didn’t do that though. My money stayed safely in my pocket. What Exaclty Is Ataraxia 7? Joseph Belkin has created a “patented software” (it’s not been patented really though) that will let you push a button and make winning Binary Options trades over and over again. How has he done this? Well, by being a good student apparently. As the story goes, Ataraxia 7 was a secret Russian software code developed in the Cold War to bring down the American stock markets. James Bond was busy, so our hero, Joseph Belkin managed to resurrect the algorithm for his Thesis when he was an exchange student in the University of Moscow. I’ve never known an exchange student to write a Thesis, but that’s just me. With a friend, he’s planning to release it to the public for $3,000 USD a month. Before he does that though, he needs 100 beta testers to get proof and testimonials that it works. Or he could just get some fake video testimonials for $5, which is what he’s done to create the “previous beta group” and their testimonials. Essentially Joseph wants us to be his testimonials, so he’s giving us free access in exchange for our testimonials. I have my doubts about this kind of thing, and I’ll go into that now. There are two types of binary options programs (I’ve reviewed dozens of them). The first type uses images of mansions, fast cars, hot women, and dollar bill signs to woo you into signing up. This one is easy to spot and just as easy to fall for. The second type, much more clever, doesn’t use any of those things, tells you that it’s not that kind of program, but kind of uses them anyway. Ataraxia 7 falls into this category. Joseph repeatedly tells us that he’s not promising us millions over night, he’s not going to trick us with fake testimonials or bank account screenshots, he’s just offering something real. Doing this makes us even more likely to fall for it. We think “Oh good, he’s not one of those guys, I can trust him”, yet he is exactly one of those guys. He even shows us testimonials and bank accounts. All the classic “Act now, only 100 spots remain” and “We don’t just want anybody, we want smart qualified people” strategies are there to trick us into signing up. If you’ve got a piece of software that is guaranteed to work, why do you need free beta testers to prove it? You could instead offer a money-back guarantee, or even just keep the software for yourself. That’s what real products of value do. Do you see Microsoft or Apple giving away 100 copies of their software to prove it works? Here’s another thing. He’s already got 100 testimonials from his previous beta group. He’s using them to get YOU to sign up. Why does he need more? And you’d be asking a very good question if you did. Ataraxia 7 is linked with a couple of trading platforms. When you sign up and deposit funds with them, Joseph receives a massive commission. The broker he uses in the video is called OptionsRally. 1.) Go to optionsrally.com and scroll to the bottom. Click the “affiliate program” button. 2.) On the second page, you’ll see that OptionsRally is partnered with “We Pay Affiliates”. 3.) 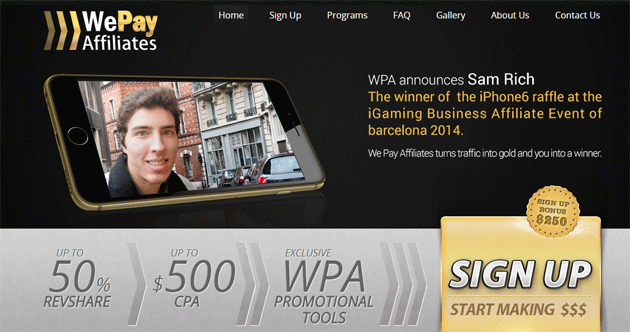 If you click on that page, you’ll see that We Pay Affiliates pays up to $500, just for somebody signing up. Note: It seems that Joseph works with both OptionsRally and OptionsMax, but both programs pay a similar commission. I thought it was just a free beta program for 100 people? Why is there a massive launch contest for affiliates? Weird huh? Unless…the software doesn’t really make money and Joseph just gets rich off these commissions? What About The Verified Trades? If you were paying attention, you’d have seen that Joseph has created a few verified accounts from the previous “testers” (fake videos from fiverr.com). These accounts are supposedly linked to tradesec.org which is a trading verification website or something. The thing is though, if you visit that site, it’s incredibly bare. It only has a few posts (surprisingly enough mentioning Ataraxia 7 and Optionsrally). When you click the “verify account” button it just says “Verify here” but doesn’t actually offer a means of verifying. Finally, that site was only registered on the 9th of September this year. About a month before Ataraxia 7 launched. Clearly this site was set up as a fake site to make most people think “OK, it looks legit”. It’s not the first time I’ve seen binary options programs do this. Inspect it closely enough, you’ll see it proves nothing. What About The Second Video? 1.) It’s been edited in post production (we know already that he speeds it up in post). 2.) He kept trying until he got 4 winning trades in a row, which isn’t impossible. 3.) It’s a dummy trade account and the software is on a delay. I can’t prove exactly how he did it, but when you consider everything else in this article, it should be pretty clear that this video might not exactly be legit. I’m sure his software exists and it gives you trading signals, but whether or not it really works is a completely different question. I think the fact that Joseph claims his algorithm is world famous, yet no record of it exists before September is a pretty big warning sign. Also the fact that the only people giving positive reviews of the program are using their affiliate links to earn a commission of you.